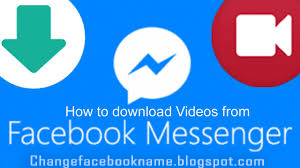 Download and Install Facebook Messenger: Facebook Messenger is a popular messaging application with over a billion users worldwide, it competes with the likes of WhatsApp and Telegram in sending and receiving free instant messages through your internet data connections. Though, people thought they can only use the Facebook Messenger app when you connect it with a Facebook account, but the fact is that statement is not true. The Messenger app can be used on its own to access phone contact, receive mobile texts, make voice and video calls and so on. And like you know, Facebook messages are best accessed via the Messenger app, it add various cool features which makes chatting fascinating. 1. Go to the Google Play Store on your Android device. 4. Now tap ‘Install’ button and then grant permission to messenger app to access your device tools. 5. Then the downloading process kick-starts, it may take from few minuite to hours depending on how strong your internet connections, once it’s done, simply tap the messenger icon on your app list to launch it. 6. You can either login using your Facebook account or access it without a Facebook account by tapping ‘Not on Facebook?’ button. Then you can use your email or mobile phone number to register. Now you can enjoy all the cool features of Messenger app on your Android device. 4. Then tap ‘install’ to begin downloading the app. 1. Go straight to your Windows Store on your PC. 2. Type in‘Messenger’ in the search box. 5. You can then launch it by double-clicking the messenger icon shortcut on desktop, then simply login using your Facebook account login details. Now you know how it can be done on any gadget, simply forward this to all your friends by hitting the share button so they can also know how it is done.